Product prices and availability are accurate as of 2019-03-16 00:32:25 UTC and are subject to change. Any price and availability information displayed on http://www.amazon.com/ at the time of purchase will apply to the purchase of this product. Enter a lovely landscape and tablescape of gorgeous, all-season dinnerware color and style with the Paula Deen Dinnerware Indigo Blossom 16-Piece Stoneware Dinnerware Set. 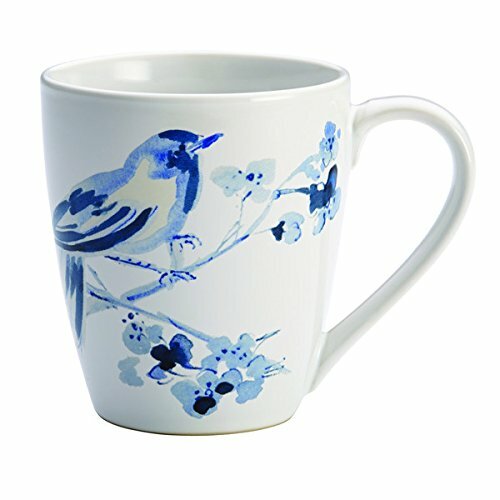 In delicate play against a solid white background, Indigo Blossom captures the whimsical charm of a butterfly aloft and a bluebird alight on a fruit tree in fullest bloom. 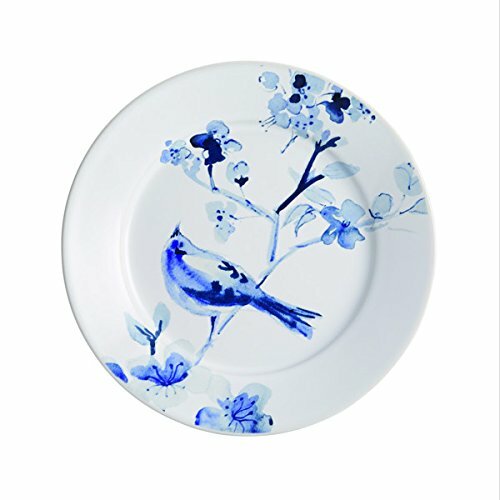 A mix of deep-toned and lighter blues delicately dance around each piece of the durable stoneware dinnerware set, which features dinner plates, salad plates, cereal bowls and beverage mugs. The porcelain stoneware is sturdy enough for day-to-day dining, and stylish enough for every special mealtime. 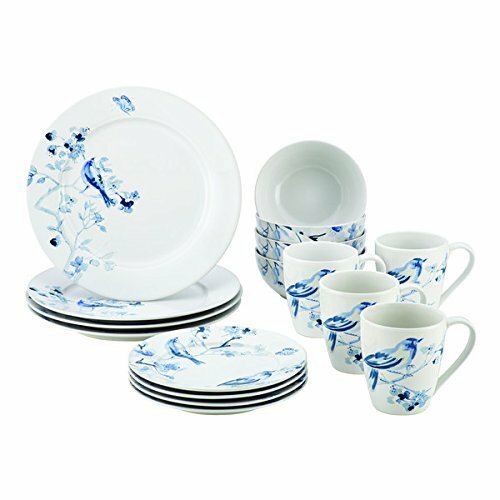 This dinnerware set includes complete service for four, perfect for savoring favorite family foods and beverages at a casual breakfast, a relaxing lunch, or weekend dinner. For convenience, all pieces are microwave, freezer, and dishwasher safe, oven safe to 250°F for up to twenty minutes for warming, and a great complement to other pieces in this Paula Deen(r) Dinnerware collection. 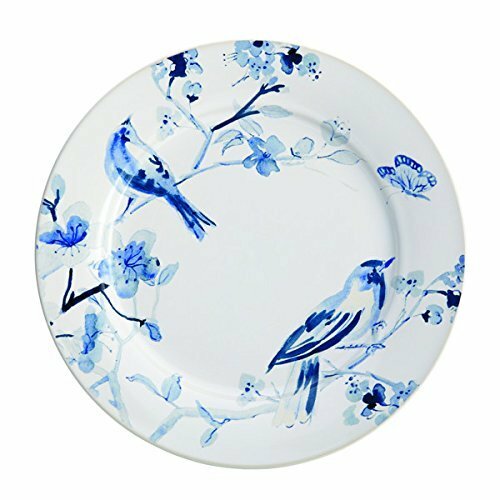 Let the tabletop blossom and a touch of springtime whimsy bloom, when dining and entertaining with the charming, durable Paula Deen(r) Dinnerware Indigo Blossom 16-Piece Stoneware Dinnerware Set.